If you can’t wait for Black Friday, don’t. The latest killer deals from across eBay have this simple and crystal clear message for bargain hunters looking to buy anything from smart TVs to video games, good old fashioned watches, jewelry, various clothing items, and wearable devices at truly unbeatable prices right now. The heavily discounted product we’re most interested in is a 42 mm Samsung Galaxy Watch in a Midnight Black flavor. The Apple Watch-rivaling bad boy was recently marked down from $330 to $280, and its manufacturer will be looking to revive that exact same promo in just a few days. Meanwhile, Target’s Black Friday catalog has revealed the Tizen-powered wearable will cost $260 starting November 22 (for a limited time), but top-rated eBay seller wholesale_connection already has it available at $254.99. No waiting necessary, no promo codes involved, and obviously, no refurbished shenanigans. What you’re dealing with here are “brand-new, unused, unopened, undamaged” items shipped in their original packaging for free nationwide. At the time of this writing, the Galaxy Watch appears to have returned to its standard starting price of $330 at both Best Buy and Samsung’s own US e-store. $75 savings on such a new, hot, well-reviewed, and feature-packed gadget is certainly nothing to sneeze at, not to mention beating the Black Friday crowds (either physical or digital) can be worth significantly more. You can now have a happy, quiet Thanksgiving Day with your loved ones while monitoring your health and checking your notifications at the dinner table without ever looking at your phone. 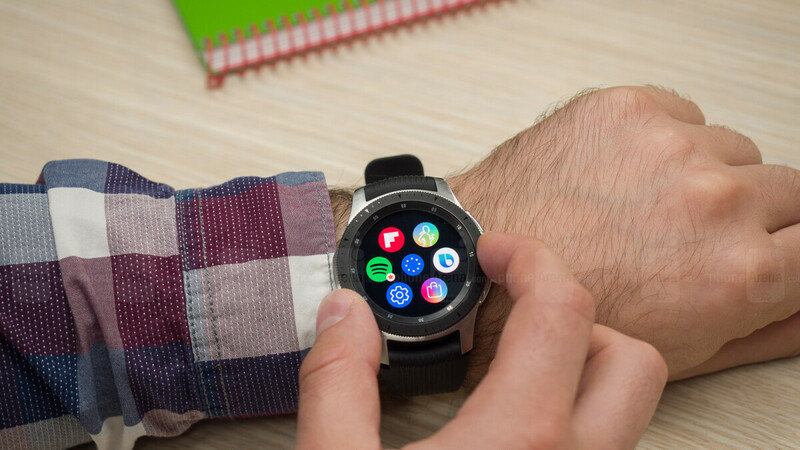 The Samsung Galaxy Watch is naturally compatible with both iOS and Android handsets, offering pretty impressive battery life, water resistance up to 50 meters, a sharp Super AMOLED display with 360 x 360 pixel resolution, offline Spotify playback, convenient bezel navigation, and fluid overall performance. You may or may not consider this an Apple Watch killer, but at $255, it’s definitely a killer bargain. The latest Galaxy Watch isnt worth more than $100. After removing MST, and the fact the latest design is not that great looking, I will pass. You would be better off getting the Galaxy S3 Classic or Frontier. Or even the Gear Sport. Sorry, I use MST daily. Mistake removing that feature. I'll keep my Gear S3 Frontier. Yep.... use every time I want to pay for something in a brick and mortar.